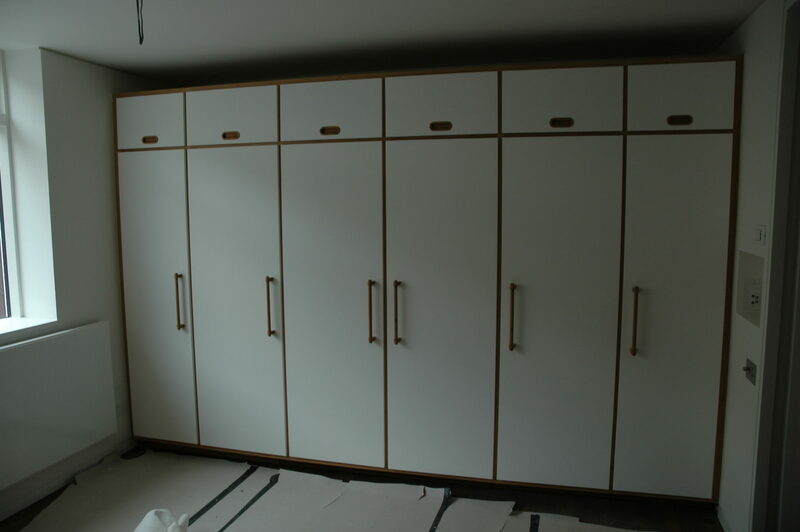 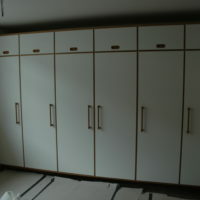 The client brief was to produce a 1970’s style kitchen in teak. 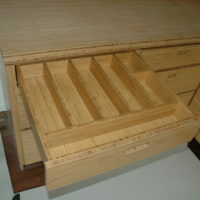 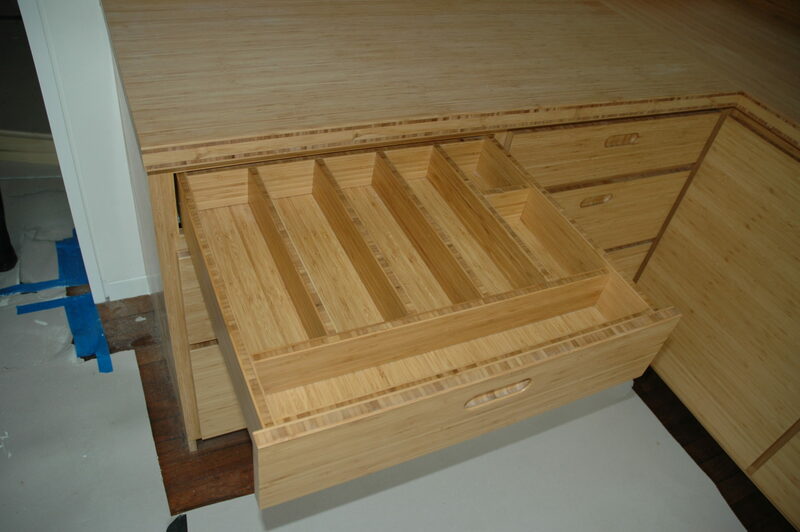 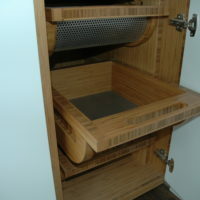 Bamboo was suggested during the design phase and ended up being the material of choice. 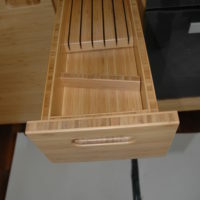 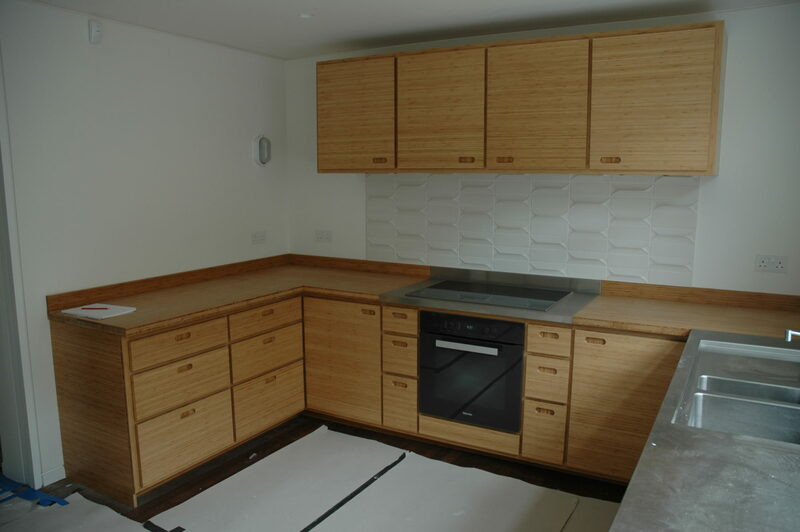 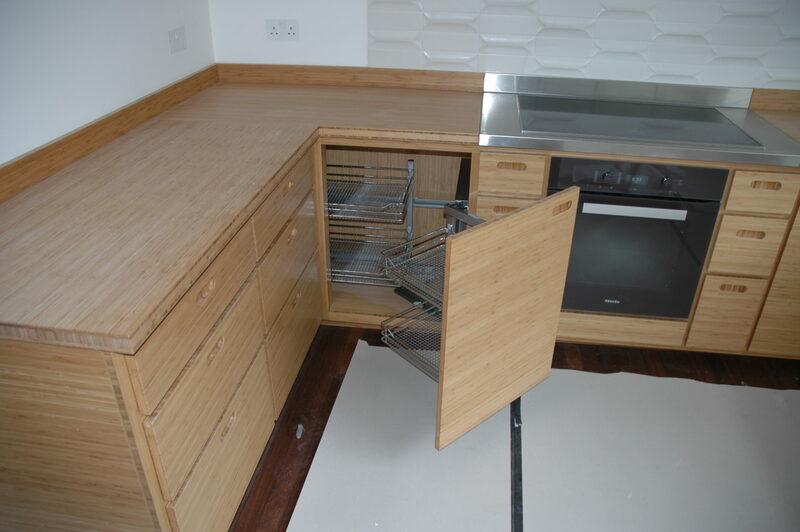 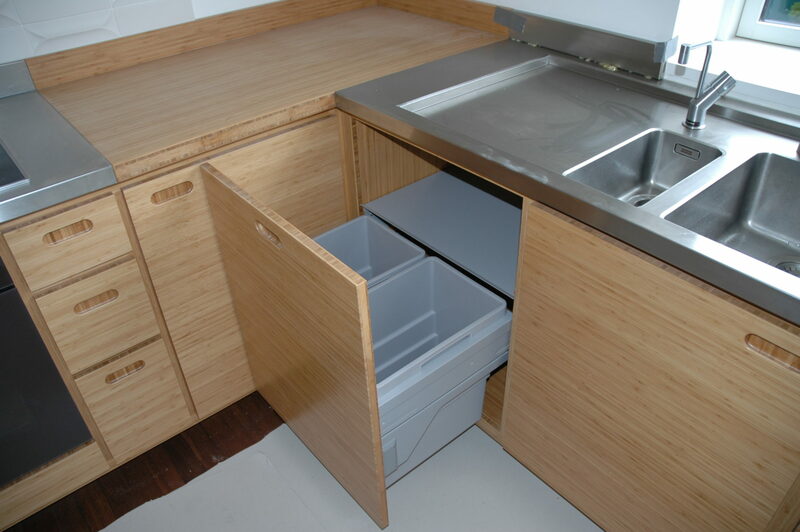 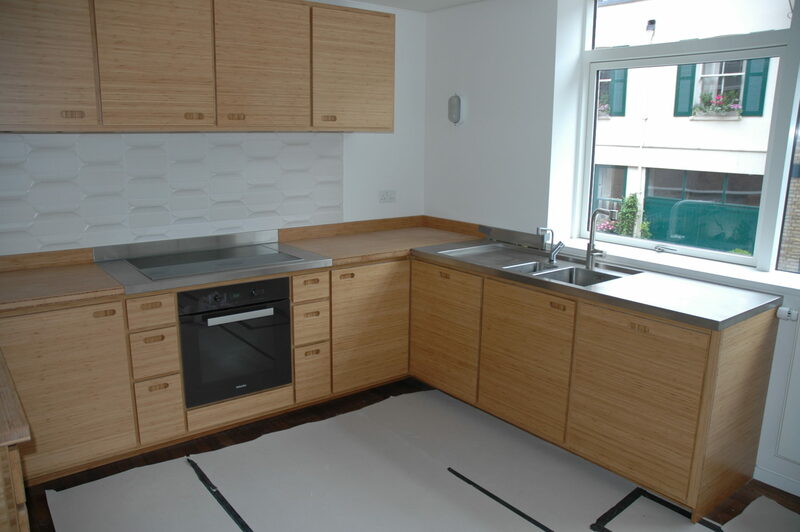 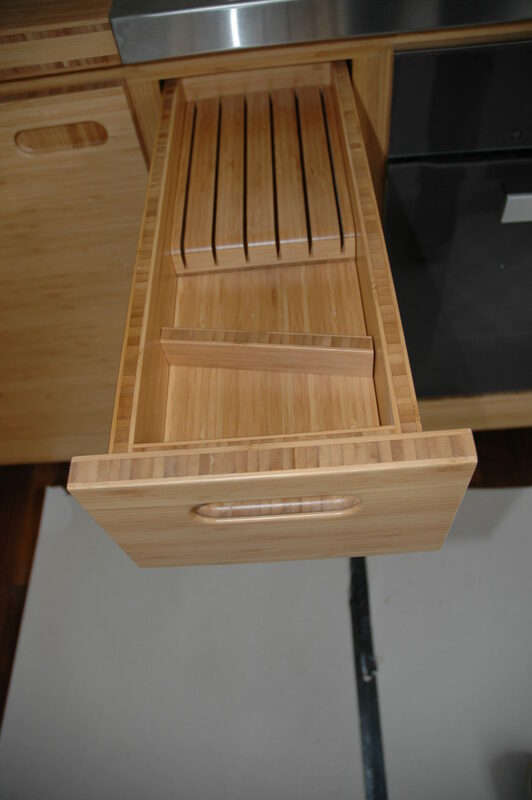 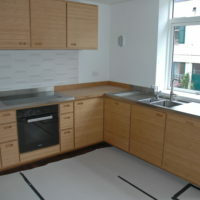 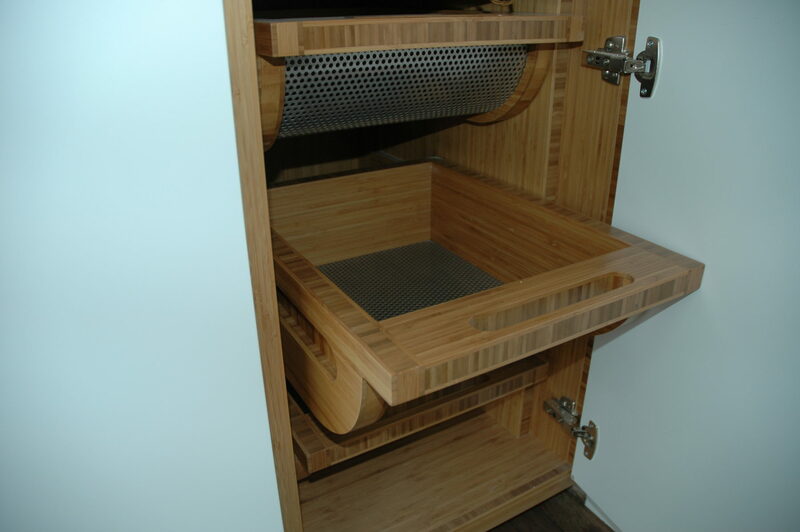 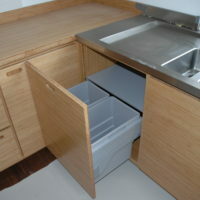 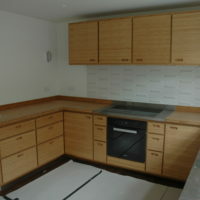 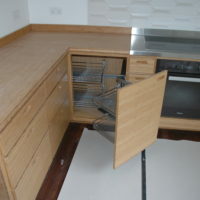 The handles and worktops were both custom made in bamboo and brushed stainless steel respectively.